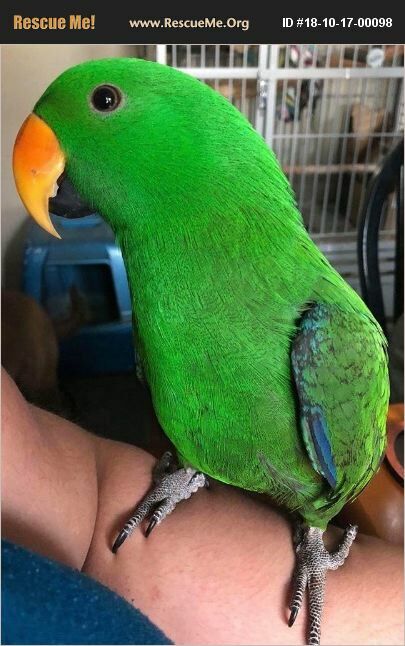 Willie is a 1 year old male eclectus. This sweet, interactive boy deserves a loving, experienced and knowledgeable home. He's on a healthy diet and enjoys exploring his foster home. Eclectus parrots have very specific dietary needs and live for 40+ years. They are native to the Solomon Islands, Sumba, New Guinea and nearby islands, northeastern Australia and the Maluku Islands (Moluccas). To submit an application to meet Willie, please email info@ctparrotrescue.org.